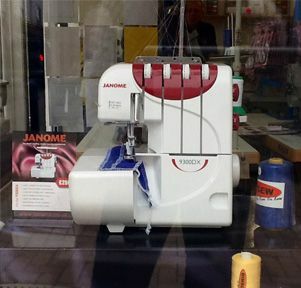 We sell a wide range of new, used and reconditioned Domestic sewing machines for general use, embroidery, overlocking and embellishing, etc. We supply new, used, reconditioned and rebuilt Industrial sewing machines to all sewing trades including upholstery, sailmaking, soft furnishings, tailoring, horse rugs, boat covers, marquees and leather goods etc. We keep a wide range of Parts and Accessories in stock and work closely with suppliers nationwide to source and supply more unusual items. We stock a good selection of Haberdashery items including specialist cottons and threads, oil, needles, scissors, bobbins and belts, presentation boxes etc. If you are interested in a particular machine we will show you how it works and let you try it for yourself. All our machines are honestly priced and under full guarantee.